Executions have not only continued unabated since Rouhani’s election but have escalated, with some 100 Iranians executed in the first month alone following his election. Moreover, a large number of prisoners are killed by the regime in secret, such that the number of executions is almost certainly higher. Query: Will President Rouhani declare a moratorium on executions? While nearly 35 years have passed since the Islamic Revolution of 1979, we now face—with the utmost disbelief, abounding regret, and immense sorrow—the travesty of the harrowing murder of one of Iran’s pure-hearted citizens. Throughout the rule of the Islamic Republic of Iran, the restoration of the inalienable rights outlined in the country’s constitution has been forestalled for the followers of this religion, who comprise the largest religious minority group in Iran. Despite the Baha’is’ complete abstinence from participating in the country’s political affairs; their insistence on remaining non-partisan in times of political upheaval; and their decision to walk the path of sincere service to their ancestral land, unlawful pressure towards this community has escalated over the past eight years. The extent of arrests and issuing of judicial sentences has increased. Threats and ever-increasing restrictions have jeopardized their lives. It was hoped that with the rise of the new government—who called their rule one of wisdom and hope, and made the unequivocal promise to abide by the constitution in their treatment of all Iranians—the Baha’is of Iran could, like their fellow countrymen, enjoy the rights outlined in the nation’s constitution as well as their citizenship rights. Thus could the Baha’is enjoy the right of service to their hallowed homeland while protected by law and justice. Thus would they be able to pursue a life and livelihood rooted in the moral and spiritual teachings of their religion. Yet, regrettably, with the dawn of the government of “wisdom and hope,” an unusual, unlawful, and inhuman act has left us in bitter bewilderment and turned hopes into sorrow. 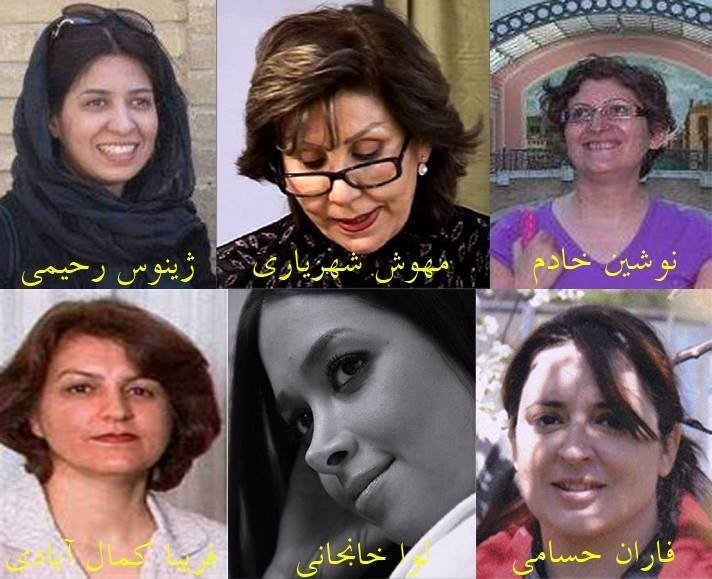 Now, along with our condolences to the beloved and noble family of Mr. Ata’u’llah Rezvani—as well as to the entire Baha’i community and our dear compatriots—we urgently ask the respectable president, Mr. Hasan Rohani, to identify the reasons and factors that led to this inhuman act and to force those responsible to face law and justice. We sincerely hope that every drop of the pure blood of this noble martyr will flow through the veins and arteries of this sacred land, and that the seeds of brotherhood, equality, and love will be sown in this frozen garden so that the pleasant springtime will come and variegated flowers will bloom and adorn the land of Iran. Yaghoub Khezri, Kurdish journalist, teacher and blogger has been summoned to serve a one-year sentence. He was arrested in June 2012. World leaders have a once in a generation chance to create a meaningful link between sustainable development and human rights, Amnesty International and Human Rights Watch said in a joint statement targeting Environment and Foreign Affairs ministers gathering in Rio. (New York) – World leaders have a once in a generation chance to create a meaningful link between sustainable development and human rights, Amnesty International and Human Rights Watch said today in a joint statement targeting Environment and Foreign Affairs ministers gathering in Rio. 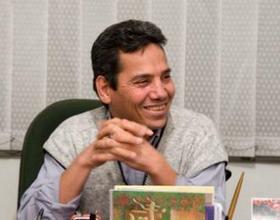 Abdolfattah Soltani (58), a prominent Iranian human rights attorney, has been sentenced to 13 years in prison by a Revolutionary Court in Tehran. Soltani is one of the leading figures at the Center for Defenders of Human Rights (CHDR), which also includes Nobel Prize winner Shirin Ebadi. Soltani was arrested four days after the 2009 presidential elections and again in September 2011. His “crimes” included co-founding the CHDR, giving interviews to the media about his clients and being awarded the (2009) Nuremberg International Human Rights Award. Soltani was initially given an 18-year sentence on March 4, 2012.